Increasingly installations using both DALI and DMX are becoming more common. But if you have DALI controllers and DMX controllers or DALI and DMX fixtures (or both) you are about to enter ‘a world of pain’. The 3D2D merge can provide the solution to interface hell as it can use DALI and DMX at the same time, both in and out. The 3D2D has three inputs. DALI, DALI and DMX. 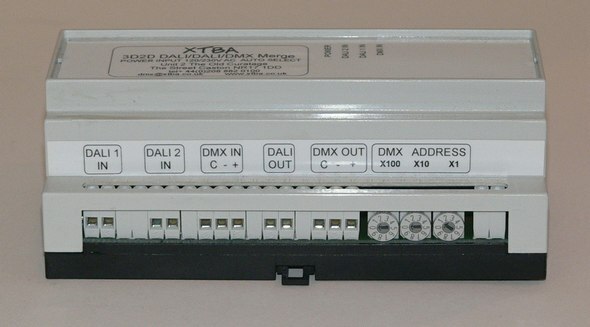 The DALI and DMX inputs are merged together and sent to the outputs, both DALI and DMX. 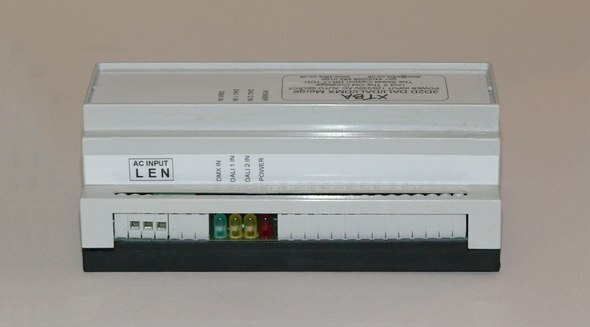 Both the DALI and DMX inputs can be offset against DALI 1 allowing controllers to be ‘stacked’ or to allow only controllers to have access to limited channels. 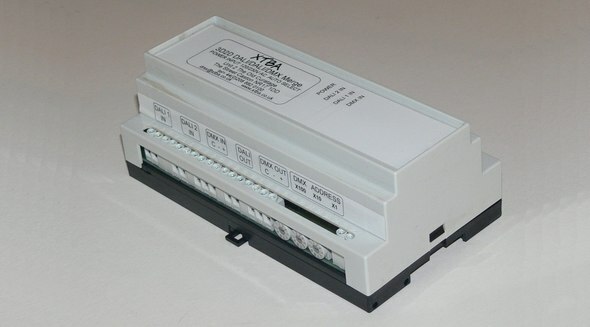 This also allows the unit to be used in channel replace mode. Because DALI is a bi-directional protocol the 3D2D will allow DALI control messages and responses through unaltered. The 3D2D has many features some of which might be deeply confusing - so if in doubt give XTBA a call and we can figure out if it will do what you need it to do.